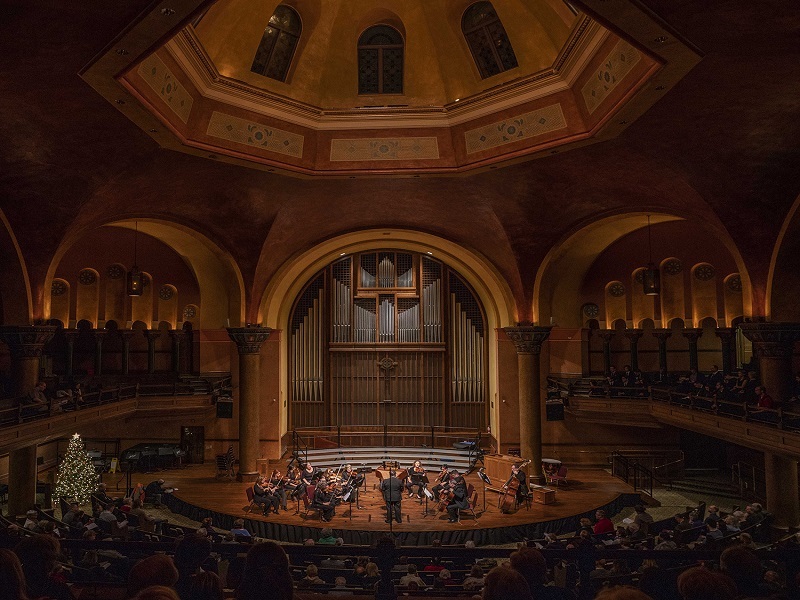 Carleton University’s acquisition of Dominion-Chalmers expands the university’s community presence with a beautiful venue in the heart of the city. The hallmark of the new performing arts and learning space is the unique and breathtaking pipe organ located in the sanctuary. This 5,200-pipe Casavant is one of only a few in Canada and is in excellent condition. It is also one of only a few where the organist plays from on the front stage. Many members of the Ottawa community have fond memories of the organ. Carleton is committed to preserving this important instrument and ensuring generations to come enjoy its sounds. The Friends of the Pipe Organ Fund supports the organ’s care and preservation. Costs may include, but are not limited to, monthly tuning and cleaning costs, as well as temperature regulation efforts and any emergency repairs or long-term maintenance requirements. Gifts of any size may be directed toward the Friends of the Pipe Organ Fund. This is an endowed fund, meaning it will exist for the life of the university, with the annual payout on the endowed fund’s investment going directly to the maintenance of the pipe organ. Endowments are a powerful way for donors to ensure a particular area of interest remains a focus of university life well into the future.